It took a while but it’s now possible to plan transit trips on the Apple Maps feature on iPhones. 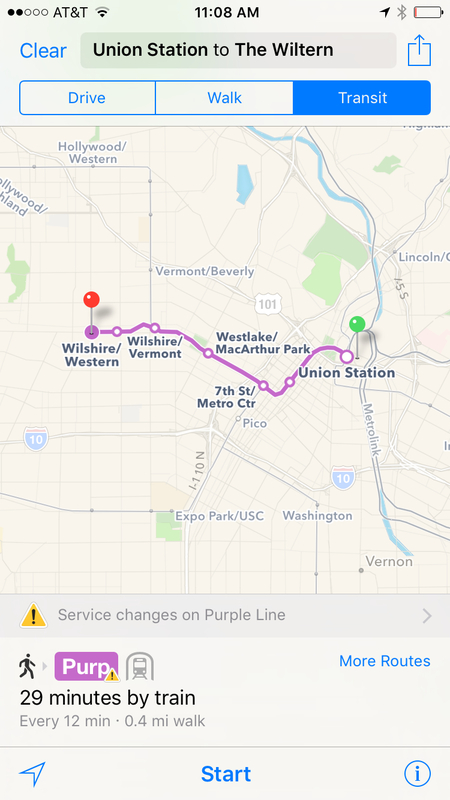 The feature went live earlier this week after Metro provided Apple with schedules for its bus and rail lines. Service alerts will also be included on Apple Maps. Metro also provides data to Google and Waze — Metro’s transit data has been available on Google Maps since 2009 with realtime arrival info added this month. •The majority of website visitors (65%) access Metro.net from mobile devices and Apple devices account for 42 percent of the mobile traffic. •Metro’s mobile app, Go Metro Los Angeles, generates about one million sessions per month with 15 percent of these sessions originating from Apple devices.